The gulf in the Premier League this season is already a vast one between bitter rivals Liverpool and Manchester United. The Reds are second in the standings, behind Manchester City who have played a game more only on goal difference, and have a 14-point advantage over their North West rivals, who despite a recent resurgence in form are in fourth place. 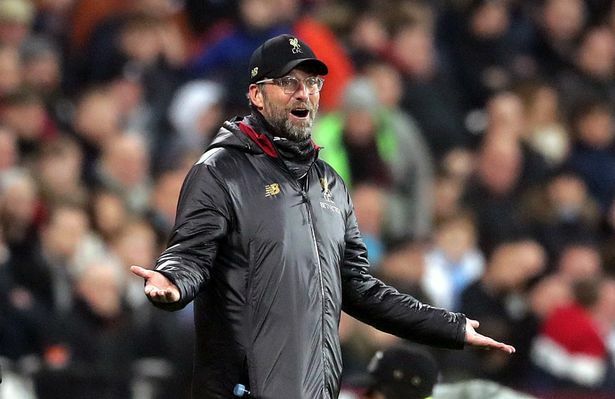 But in a new table released this week Jurgen Klopp’s side are left trailing to United, something which will have irked Reds fans. France Football have ranked the world’s leading clubs based on a number of criteria, including the number of Ballon d’Or and World Cup wins for their players, the influence of social media, the amount of income, money spent on transfers, the market value of the club, trophies won and their general history. And while the Reds are in fifth place, they are two spots behind United. Sandwiched in between the two Premier League sides are Bayern Munich, who Liverpool face in the Champions League round of 16 next week. Unsurprisingly, Real Madrid are ranked the world’s biggest club, with Barcelona in second place. The list has prompted controversy, with seven-time European Cup winners AC Milan in 11th behind both Arsenal (10th) and Manchester City (ninth), who have won no European Cups between them.